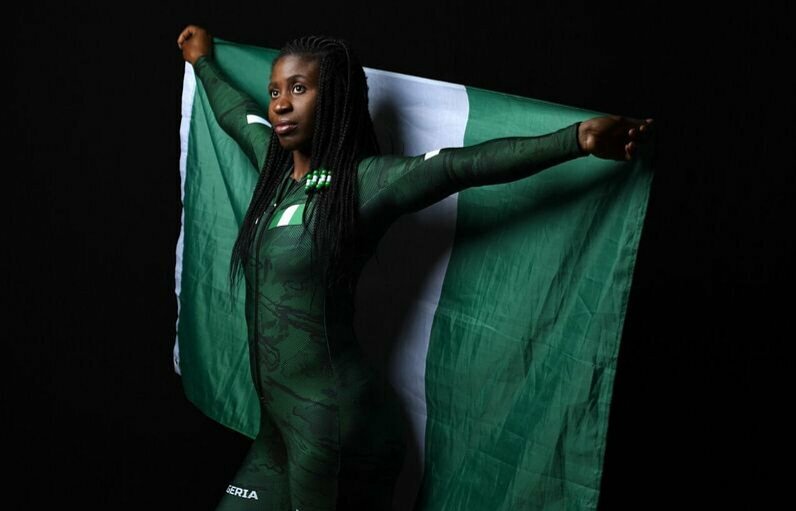 Nigeria’s Bobsleigh star Simidele Adeagbo says she was excited to have competed at the International Bobsleigh & Skeleton Federation (IBSF) Intercontinental Cup in Utah, the USA on Tuesday. The 2018 PyeongChang Winter Game revelation finished with a personal best push start of 5.02 seconds and downtime of 53.79 seconds and also recorded the joint fastest push start with China’s Chengfeng Long to finish the day in the 21st position. She took to her Twitter account to express how happy she was to have put in such a great performance. She added that she was also excited to have put Nigeria on lips on people who love sports. “But Nigeria doesn’t have snow, they said and this is exactly what this journey is all about; breaking barriers, pushing boundaries and changing the narrative and I am so excited I can go on this journey. Simidele was the first African female to compete in the skeleton event and has become the first Nigerian to compete at the International Bobsleigh & Skeleton Federation (IBSF) International Cup on Tuesday.